Couldn’t make it to Art Basel this year? You’re in luck. alpha’a is an online platform for selling art through a community of artists. Born in Brazil and now available in America, connecting art lovers everywhere. They asked us to give their brand a makeover. 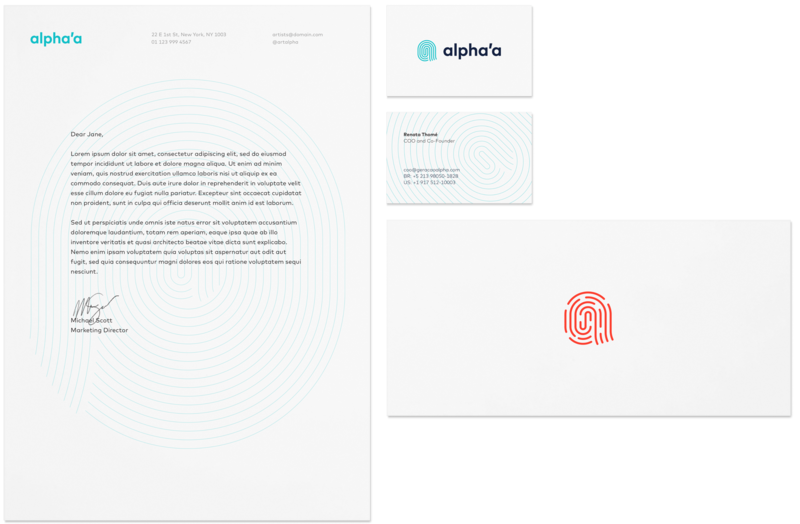 We created a design inspired by a thumb-print to ensure that alpha’a would literally make its mark on the art industry. The thumbprint is the perfect hit target for tapping or signing and each artist has their own unique thumbprint QR codes. alpha’a may be a digital art gallery, but celebrating human connection worldwide is now possible with every tap.